Guests are met in Inverness** and transferred by private chauffeured minibus to Scottish Highlander. A champagne welcome by the Captain and crew and perhaps an early evening stroll before our first dinner on board. After breakfast we transfer to Newtonmore Golf Course (30 mins drive). Established in 1893 this comparatively flat, easy-walking, parkland course is full of exciting and invigorating challenges. It nestles appealingly in the midst of the Monadhliath and Grampian Mountains and on the banks of the River Spey. Return to the barge for lunch and a cruise through Moy Bridge, the last hand operated bridge of its type on the canal, across Loch Lochy and on to Laggan where we moor for the night. A Highland Piper may be there to greet us with a stirring rendition of traditional Scottish music. Dinner on board. 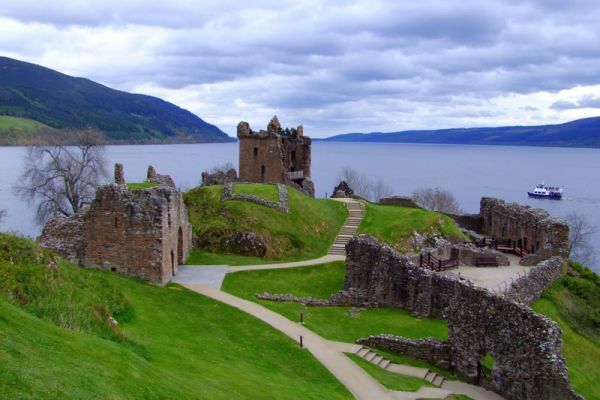 This morning, we take in some of the finest scenery Scotland has to offer as we drive to one of its best known and most photographed castles, Eilean Donan, which has featured in movies such as “Highlander” and James Bond’s “The World Is Not Enough” and overlooks three sea lochs. Our afternoon cruise today takes us across the very scenic Loch Oich, perhaps stopping en route for a spot of fishing and enjoying a walk, before reaching our pretty mooring at Cullochy. Dinner on board. 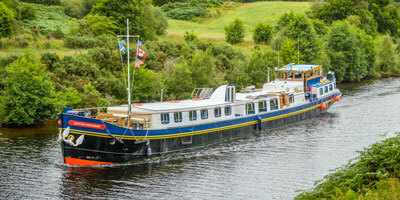 This morning we cruise to Fort Augustus and down the “flight” as the locals call it, to moor opposite the Benedictine Abbey at the entrance to Loch Ness. 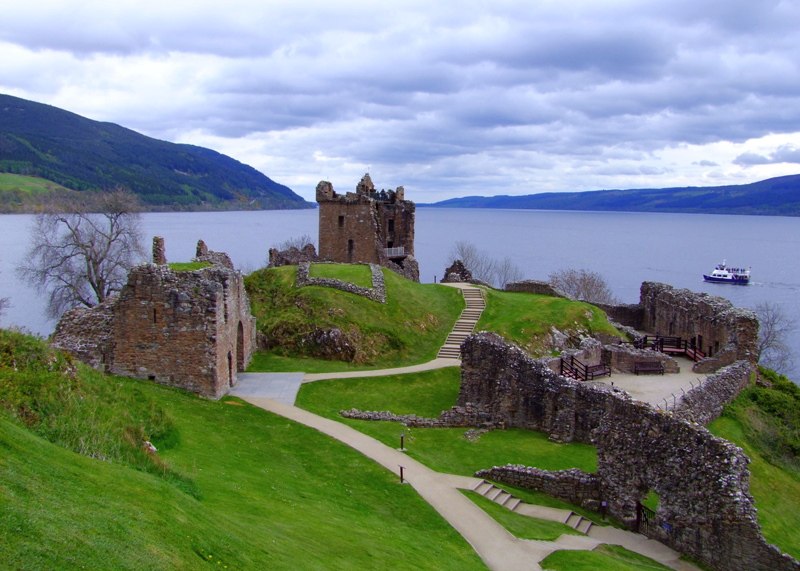 After lunch on board, we head out to encounter some of Scotland’s bloody past as we visit the ruins of Urquhart Castle in a spectacular setting overlooking Loch Ness. If time allows we can visit the Invermoriston Falls and the “Old Bridge” designed by Thomas Telford where you may even see a salmon leaping. This afternoon enjoy a round of golf at the nearby Fort Augustus Golf Course, probably the only course in the world kept manicured by a herd of sheep! 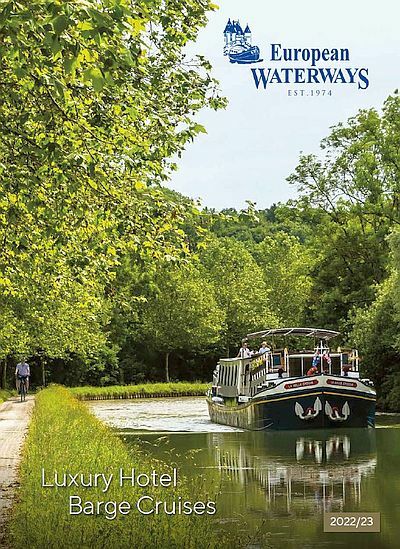 This course features 9 holes in a challenging canal side setting. Dinner ashore tonight at a local restaurant. This morning we enjoy a picturesque cruise across world-famous Loch Ness, with perhaps a chance of spotting “Nessie”, before mooring at the hamlet of Dochgarroch. We enjoy lunch on board and afterwards journey to the Championship Links course Castle Stuart (20 min drive) overlooking the Moray Firth. Dinner on board. Depart early for the Royal Dornoch Golf Course (1hr 30mins drive) for a round on the Championship Golf Course, one of Scotland’s famous links courses designed by Tom Morris. Dornoch dates from 1616 and is internationally acclaimed. Our final cruise today will take us through Tomnahurich swing bridge and through the locks to Muirtown, where there will be the opportunity to take a bicycle ride or walk to the sea lock with wonderful views over the Moray and Beauly Firths. Captains Farewell Dinner on board.